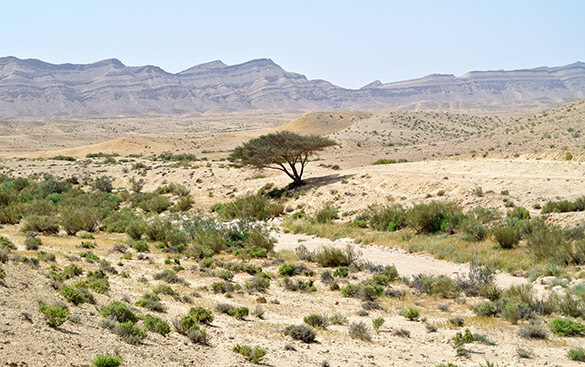 MITZPE RAMON, ISRAEL–I met this particular tree in 2003 when searching for a good place to have lunch. Yoav said, “I know a tree”, and then we drove a half-hour to get to it. As you can tell, trees are not particularly common in Makhtesh Gadol. Now this acacia has served as a resting place for a dozen Wooster geology students over the years. Its patchy shade is welcome indeed. Today I had a lonely little lunch of nuts and fruit underneath it, with the magnificent makhtesh walls surrounding me. 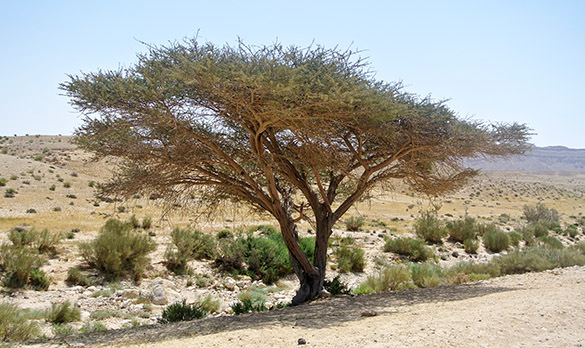 Acacia trees are critical for wildlife and domesticated animals in this region because they maintain an African metabolic timing, being greenest during the hot, dry Negev summer as a genetic memory of the contemporary wet season in Africa. Animals depend on this bounty, despite the thorns and stinging ants. 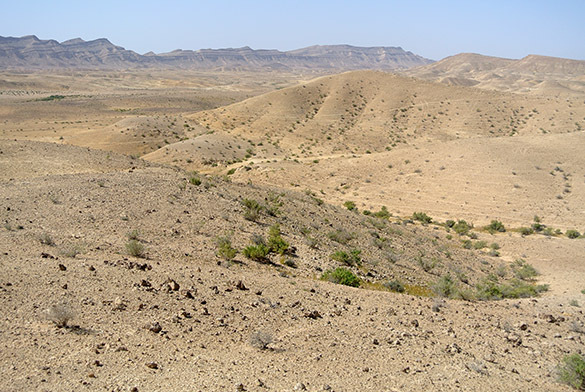 Acacia is known as “shittim wood” in the Bible, where it is mentioned several times. I had the beautiful Makhtesh Gadol to myself today. The Passover holiday is a sort of Spring Break for Israelis, so the roads are miserably crowded, even through the Negev. Once I get here, though, I’m in a closed nature reserve that no one can enter without a permit. I have the only permit now, so this is a place of complete solitude for me until I must return to the highway and civilization.